Postpartum women are consuming their placentas encapsulated, cooked, and raw for the prevention of postpartum depression (PPD), pain relief, and other health benefits. Placentophagy is supported by health advocates who assert that the placenta retains hormones and nutrients that are beneficial to the mother. 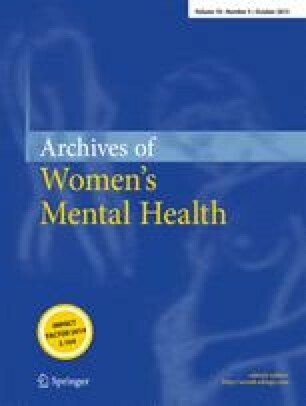 A computerized search was conducted using PubMed, Medline Ovid, and PsychINFO between January 1950 and January 2014. Keywords included placentophagy, placentophagia, maternal placentophagia, maternal placentophagy, human placentophagia, and human placentophagy. A total of 49 articles were identified. Empirical studies of human or animal consumption of human placentas were included. Editorial commentaries were excluded. Animal placentophagy studies were chosen based on their relevance to human practice. Ten articles (four human, six animal) were selected for inclusion. A minority of women in developed countries perceive placentophagy to reduce PPD risk and enhance recovery. Experimental animal research in support of pain reduction has not been applied in humans. Studies investigating placenta consumption for facilitating uterine contraction, resumption of normal cyclic estrogen cycle, and milk production are inconclusive. The health benefits and risks of placentophagy require further investigation of the retained contents of raw, cooked, and encapsulated placenta and its effects on the postpartum woman. The authors would like to acknowledge Stephanie A. Schuette and Barbara Sutcliffe who assisted with the formatting for this manuscript. The Department of Psychiatry at Northwestern University receives contractual fees for Dr. Katherine L. Wisner’s consultation to Quinn Emanuel Urquhart & Sullivan, LLP (New York City), who represent Pfizer Pharmaceutical Company. Dr. Crystal T. Clark is supported in part by Grant Number K12 HD055884 from the Eunice Kennedy Shriver National Institute of Child Health and Human Development. Dr. Kara E. Driscoll is a medical advisor for the development of EMMI Solutions postpartum depression program.